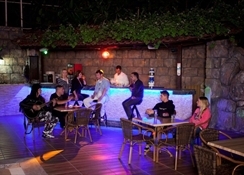 The Diamore Hotel is Located 200 metres from the long, sandy Cleopatra Beach. 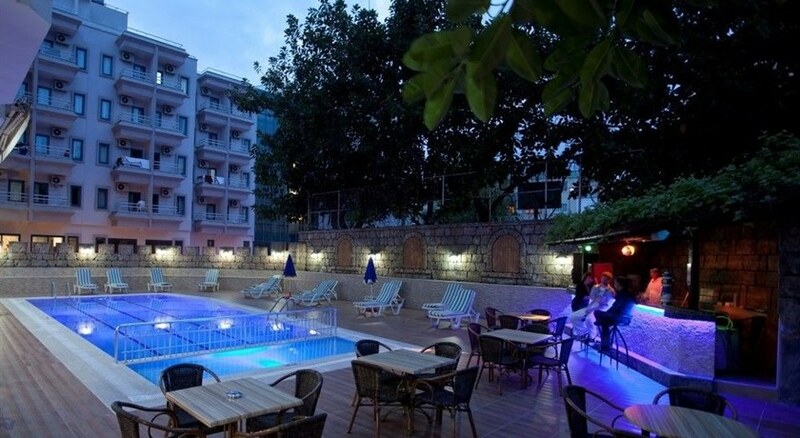 The hotel offers modern and comfortable accommodation in the centre of Alanya, one of the most popular Turkish Mediterranean resorts. The hotel is within walking distance of shops, bars and nightclubs. The Antalya International Airport is about 2 hours drive away. Mild climate, beautiful beaches, natural attractions, historic heritage and great cuisine have made Alanya a popular tourist destination. All the en suite rooms are air conditioned and equipped with satellite TV and Wi-Fi. From your private balcony you have either city or pool view.While you swim and sunbathe during the day, cold drinks and snacks are available at the pool bar. 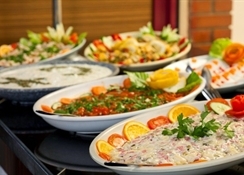 Delicious, local cuisine can be sampled in the air-conditioned restaurant of Diamore Hotel or by the pool. Diamore Hotels is proud to provide its services for families with all sort of family-like facilities. Brand-new Spa and Health Center offers you the best possible healing with professional treatment. Please Note: Fresh Fruit Juice, eis, eis tea, energy drink, Turkish Coffee are not inclusive.